When B.C. Premier John Horgan meets with Prime Minister Justin Trudeau in Ottawa, he has an opportunity to make the case that the federal and provincial governments need to work together to take drastic steps to deal with the overdose crisis. Last year, 922 people died in B.C. from drug overdoses, many due to fentanyl. Fentanyl is cheap, lethal and here to stay. It foreshadows a grim future: cheap, easily manufactured synthetic drugs, impossible to control, that will threaten more lives than traditional opioids. It is no longer possible to treat the overdose crisis as anything but a major health crisis. Drug injection material on display during a news conference announcing three safe injection sites for the city in Toronto, Ont. The response of governments has been slow, but there are positive developments. 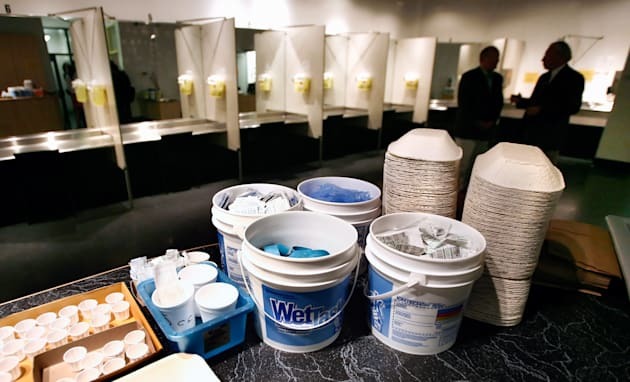 Vancouver is no longer the only city in Canada with a supervised injection site; Surrey has one, and additional sites will be added in the near future, thanks to actions at the federal level that have streamlined the application process. Three sites have been approved in Toronto, two in Quebec, and Calgary has announced it is applying for a site as well. We need a drastic expansion of safe injection sites because people are most likely to die from overdoses when they use drugs in isolation, and evidence shows that supervised injection sites are an important gateway to health care including the range of substitution therapies and other treatments. Even if we have supervised injection sites, people will continue to die because many people will not use them and, as long as there is a flourishing black market, we will not be able to prevent significant death and suffering from the use of these dangerous substances. Drug prohibition has failed. The next step both in harm reduction, and to undercut the black market, is decriminalization and shifting resources from prosecuting drug users into treating and rehabilitating them. We believe the time has come to allow doctors to prescribe a full range of opioids for addiction. This does not mean letting drug manufacturers, dealers, and importers off the hook — they need to be prosecuted. But that will not end the crisis. A model for a more effective solution is Portugal, which drastically reduced fatalities by treating addiction as a social problem to be addressed through a comprehensive set of services, including substitution treatment, counselling and other social services. We believe the time has come to allow doctors to prescribe a full range of opioids for addiction. For those for whom substitution therapy like methadone or buprenorphine does not work, evidence from Europe and Canada shows that injectable opioids such as dihydromorphone can be highly effective in giving people back their lives and health. The Crosstown Clinic in Vancouver is providing this treatment to a small number of people, but many more could benefit. 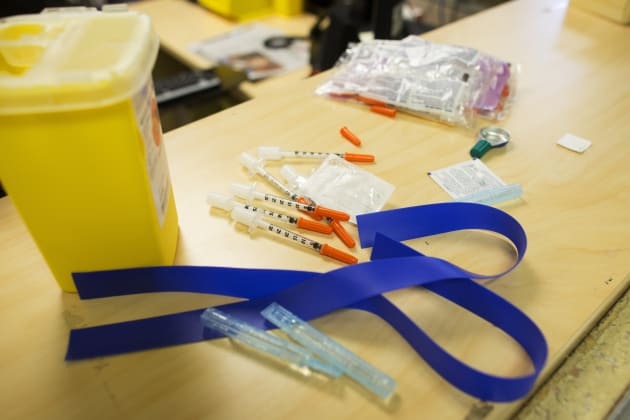 Known as Insite, the safe-injection facility opened three years ago and operates legally after the federal and provincial governments gave their blessing. B.C. has been an innovator in the development of harm-reduction policies in the past, but we are stuck with half-measures in their implementation. It took a powerful coalition, wise leadership and sheer good luck to create Insite in 2003, North America’s first supervised injection site. The creation of Insite was only possible because drug users, their families, doctors, nurses, nuns, lawyers, counsellors, coroners, police chiefs and mayors came together to address the twin epidemics of overdoses and the spread of HIV infection. They worked in a range of forums and through multiple channels. Similar urgency and leadership is needed today. The overdose crisis today is just as great, but we don’t see the kind of political mobilization — nor the public outrage — that would push the agenda of harm reduction forward. It is vital that the next government in Victoria commit to supporting organizations working with drug users, creating spaces for dialogue among all stakeholders, working with federal and local levels of government, educating the public about the benefits of harm reduction, and committing to enacting evidence-based policy. In short, in addition to establishing more safe injection sites throughout B.C., we need to legalize prescribed injectable opioids for addiction.